An Oldmeldrum distillery will be used to inspire further development of food tourism opportunities across the region next week. The Legends of the Garioch Experience at Glen Garioch Distillery will be used as an exemplar case study for the next North East Scotland Food & Drink Network event, hosted by Opportunity North East (ONE) and Aberdeenshire Council. The best practice visit to the distillery on Wednesday, June 13, will provide a taster of the Legends of the Garioch Experience, which won the 2018 North East Scotland Food & Drink Award for the Best Food & Drink Tourism Experience, and explore the use of regional produce in the experience. Developing high-profile food tourism projects and events to match visitor experiences with quality regional produce with provenance are priority actions for ONE within the wider context of growing the food, drink and agriculture sector. 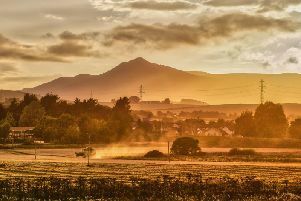 Food and drink tourism also forms part of VisitAberdeenshire’s ambitious new destination strategy, which provides a framework to grow visitor spend in Aberdeen and Aberdeenshire to £1 billion per annum by 2023. Launched in October 2017, the Legends Experience is a celebration of Aberdeenshire’s larder and the role it has played over 220 years of heritage at the distillery’s Oldmeldrum home.